Our panel of experts go back to basics and explain what you should be looking out for when purchasing Voice of the Customer technology. Voice of the Customer (VoC) is described as an in-depth process of capturing a customer’s expectations, preferences or dislikes towards a company and the value of its product and services. The data gathered during that process can be used in various ways throughout the company, including in the call centre. This includes improving products or services, adding new features or giving call centre agents the insight needed to drive customer satisfaction. The technology used to capture the voice of the customer is split into two fundamental areas; customer feedback solutions and interaction analytics. Customer feedback solutions will consolidate all of your customers’ feedback comments, from a range of sources (including IVR surveys, email, webforms, SMS, social media), into VoC metrics. An example is when companies use Net Promoter Score questionnaires to identify key topics and trends to improve the customer journey and customer experience. However, this type of feedback only measures a small fraction of the customer’s entire experience and, in many cases, it is based on only a single interaction. 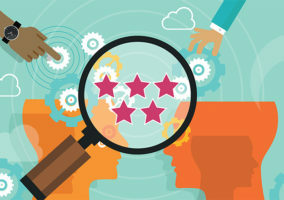 So, companies have started to capture unstructured VoC feedback via customer reviews, forums, social media posts, customer support chat scripts and calls, to gain a more in-depth understanding of the customer experience. Interaction analytics technology automatically captures and analyses a wider range of customer interactions from a number of channels. It helps companies to make sense of a vast amount of unstructured data and to create a more complete picture of their customers’ entire experience as well as their expectations, likes or dislikes. Also, interaction analytics makes it possible to connect the data from both structured (NPS surveys) and unstructured (call transcripts) VoC feedback. So, by connecting these two data sources, users can quickly search across all customer contact channels and interactions to pinpoint problem areas, call drivers and to spot key customer trends as they emerge. Construct surveys, which many customer feedback solutions are built on, can be structured to reflect business priorities and drivers. This means that you can secure feedback at any number of customer touchpoints, build ad hoc surveys as the need arises and re-poll customers to ensure issues have been resolved. Customer feedback solutions can enable you to consolidate customer feedback into a single reporting platform, allowing you to analyse all feedback from any source in one place. 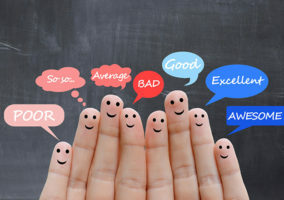 Many solutions use a text analytics engine to generate accurate sentiment (based on negative and positive wording being used) and emotion scores. These scores provide insight that helps customer experience professionals to maximise loyalty and customer value. Similar solutions can also identify key topics that are emerging from customer feedback that have the greatest impact on customer loyalty. This allows you to prioritise the actions needed to take to eliminate or heighten these. Some impact analysis modelling features include a ‘defection risk score’ that identifies customers who are at high risk of leaving before or after their next purchase. Many customer feedback solutions include reporting tools which allow the end user to see the scale of topics raised by customers and explore the reasons behind their scores, from text and impact analysis. Interaction analytics provides you with key information for call metrics and organisational dashboards. This enables users to perform detailed analysis on data such as call volumes, talk time and non-talk time, whilst highlighting emerging and historical trends. Reports can be developed from interaction analytics, such as call driver reports and trend reports pinpointing the cause behind call volumes. Also, you can create correlation reports to discover hidden relationships behind call drivers and behaviours as well as talk time reports, which highlight time-consuming, complex call types and actions for improving handling. Interaction analytics can also help to surface areas for improvement by measuring the relative emotion of customers with automated sentiment analysis. Sentiment analysis combines both the acoustic characteristics of a speaker’s voice and the context of the conversation into a single score. This enables companies to identify words and phrases that show what the customer may be about to do next, such as get angry or be open to additional products or services. This VoC technology can show the impact of agent behaviour on customer satisfaction and advocacy, by matching agent behaviour to CSAT to close the loop with the customer view. By linking their behaviour to CSAT, agents are able to adapt their behaviour and receive appropriate coaching to deliver higher customer feedback scores. By using rich content metadata (agent, group, line of business, customer identifier, IVR path, etc.) 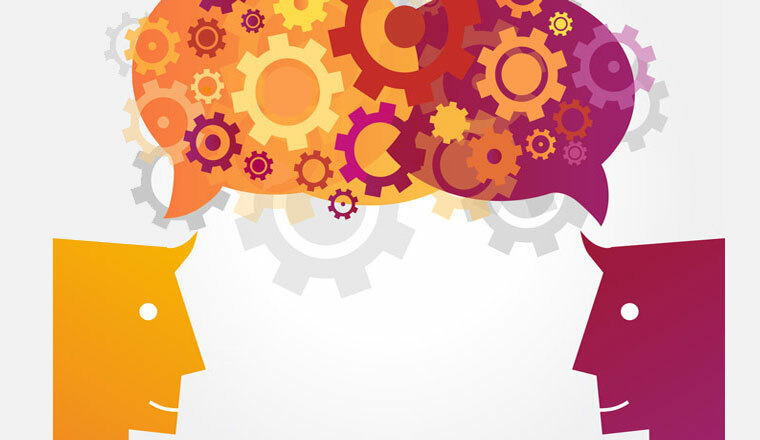 interaction analytics enables contact centres to better analyse their conversation data. For example, metadata will be helpful in identifying if the way calls are routed is creating customer dissatisfaction and is useful in any root cause analysis. Insight captured from VoC technology can go well beyond helping agents on the frontline, as it also helps other departments who play a pivotal role in the customer journey, such as marketing, sales and billing. Marketing, for example, may use this technology to track customer remarks and feedback after a large marketing campaign has gone out. This insight can help them better formulate clearer messages for future campaigns. By utilising the VoC, you can get to the root cause of what needs improving with products or services, acting on information that has been gathered in a clear and insightful way. For example, the metadata from interaction analytics can determine if a customer’s dissatisfaction was down to agent behaviour by referring back to the automated agent scorecard. As noted previously, insight captured from VoC technology can isolate and track successful agent behaviour that leads to a completed sale or a satisfied customer. In addition to this, specific VoC solutions allow your customers to tell you who isn’t performing to an acceptable level, so that more focus can be put on training programmes where necessary. Interaction analytics enables users to be certain about the compliance of all calls. Furthermore, it can measure script adherence to ensure that contracts are being explained correctly, reducing cancellations and customer disputes. When using interaction analytics, you can monitor stress levels and speech clarity, as well as script adherence, so that agents can use the technology to coach themselves in real time. 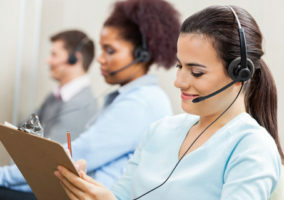 If your contact centre uses interaction analytics, agents can self-police their conversations and correct their errors whilst the call is still in progress to increase customer satisfaction and loyalty. Structured customer feedback solutions, such as Net Promoter questionnaires and surveys, offer a fairly quick and easy way of collating customers’ responses. However, these may be based on only one single interaction. This makes it harder to understand what really drives customer sentiment as the feedback is captured only at that point in time. It also largely relies on a customer’s willingness to give up his or her time to provide feedback. Unstructured VoC feedback, taken from customer reviews, forums, social media posts, customer support chat scripts and calls, generally provides a greater understanding of the customer experience. Nevertheless, as the name suggests, this feedback is unstructured so it needs to be converted into a structured format to enable in-depth analysis. If businesses want to achieve optimum value from speech analytics tools, it is important that they are not used in isolation but rather as part of a pre-defined customer service plan, with clear goals and objectives. To gain most value from interaction analytics, organisations also need to move away from simply using the tool for call recording or even just for monitoring agents. Instead, businesses should use it more proactively to drive compliance and dispute resolution and for agent training. Only by seeing the implementation of analytics as part of a broader investment in people and processes will companies ensure they get the most out of this kind of tool. As it says in our article “An Introduction to… Contact Centre Analytics”, interaction analytics can typically run into the £100ks for even a small contact centre. However, it can be used for a lot more than harnessing the Voice of the Customer, as it can aid advisor training, compliance, knowledge gaps, etc. But you can use alternatives such as pairing text analytics, which may cost only £120 for 100 agents every month, with automated transcripts. This will provide many of the same benefits noted previously, but it won’t be able to measure call acoustics. In terms of customer feedback solutions, these will be much cheaper, but they will not provide as much information as interaction analytics. However, they will be much more appropriate for a small contact centre with a tight budget. For example, it will be cheaper to ask advisors to conduct a Net Promoter Survey at the end of each call or send it to the customer via email after the call. This will provide you with feedback but will only cost what it would to slightly prolong call duration / wrap time.